Getting clean, clear and glowing skin is everybody’s wish. There are many products that guarantee good and flawless skin. However, the results of using beauty creams are variable. Apart from applying various products on your skin, it is essential to cleanse your body system also. Thus maintaining a balance diet is very essential for radiant skin. Visiting a dermatologist is also a good option as he/she will guide you properly and treat your skin problem completely. It is essential that you should check the reputation of dermatologist and the clinic in which they work. Dermatologists can cure many skin related problems like acne, warts, moles, skin tags, rosaceae, stretch marks, vitiligo, ring worm, pigmentations, dark spots, wrinkles, scars, psoriasis, scabies, rash, eczema and much more. A dermatologist can also perform various cosmetic surgeries for enhancing your features or hiding any scar marks. Before you visit any clinic, you must be clear about your needs or what treatment you want. After that, you can shortlist few clinics that have a dermatologist. Many dermatology clinics in London provide best services. For finding a suitable doctor to treat your skin problem, you should do some survey yourself beforehand. If your schedule is hectic and busy, it will be difficult to match the appointment time for both, you and the dermatologist. You can examine the doctor’s reliability by knowing about his reputation or by asking his/her previous patients. Other essential criteria while choosing dermatologist is that they should be certified. It includes passing many exams that are oral and written. You can also check how long the dermatologist has been in this profession. To get a good experience, they need to have at least 5 years of experience. If they many years of experience, then possibility is that, they will have upgraded services and machines available in their clinic. If you are opting for any cosmetic surgery, then it is essential that they should have training and years of experience. They should be expert in their field and should be able to handle all sorts of complications. You should ensure that the board certified doctor only operates on you and nobody else does. 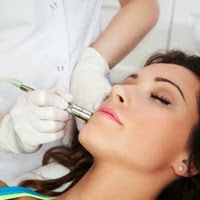 If you are getting laser treatment, only trained personnel should handle it, as the procedure is tricky. Based on your needs, you can select a dermatologist with specific specialization in cosmetic surgery, pediatrics dermatology or dermopathology. Before undergoing any surgery, you must visit the dermatologist’s clinic yourself a few times and discuss your problem with them. It is important that you should feel free to tell the dermatologist about your problem. In most clinics, photographs of before and after treatment are given, which might not be always true. You can ask previous patients or patients sitting in the waiting lobby of clinic about the doctor’s services and quality of work. As they need to undergo rigorous training and are specialized with various skill set, they charge high for their service. You can check with your insurance company whether they cover the treatment charges. Hence, by checking these above-mentioned points, you can eventually find a good dermatologist that will suit your needs and give proper treatment.